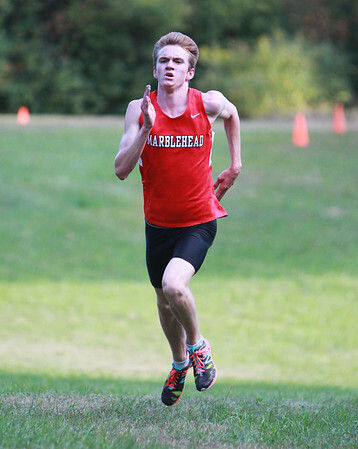 Marblehead junior AJ Ernst sprints to the finish line to capture the top spot in the boys cross country race against Beverly. DAVID LE/Staff photo. 9/23/14.